KRIS BERNAL recently entered into a new business venture by opening HOUSE OF GOGI a Korean barbecue restaurant that offers unlimited samgyupsal for only 399 (Lunch) and 488 (Dinner). Located at the Dapitan 55 Lifestyle Complex near D. Tuazon in Quezon City, HOUSE OF GOGI is on the 2nd level of a car care center and provides customers with a cozy place to enjoy their bulgogi and so much more. An entrepreneur by heart, the restaurant is her 2nd business venture after opening the Meat Kris burger stalls a few years back. 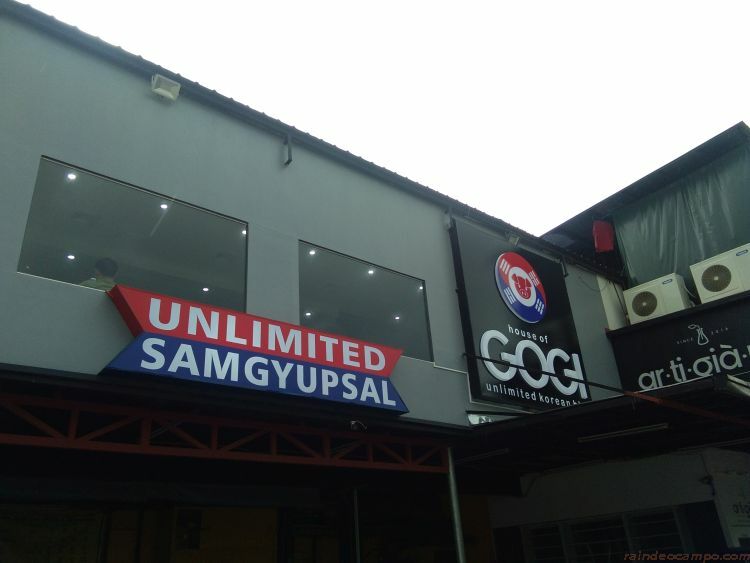 She put up HOUSE OF GOGI together with his non-showbiz boyfriend with plans of expanding to other locations and possibly inside the malls as soon as operations normalizes. They are still on their soft opening stage. Kris said that she met her boyfriend way back when she was just starting her first Meat Kris burger stall. He was in the meat distribution business and that’s how they got to know each other. Aside from HOUSE OF GOGI, Kris will also be launching very soon her own brand of cosmetics – high quality lippies (lipsticks) in particular that she said is even better than that of Kylie Jenner’s. Busy with her businesses, yet Kris Bernal is still very much active with showbiz showing no sign of hitting the towel yet. She’s currently doing an afternoon series with Thea Tolentino and Jason Abalos called “MAG-ASAWA, MAGKARIBAL” – a pivotal story that talks about a love triangle that will involve a transgender woman. Kris will also be part of the Indie Film “Kontradiksyon” and the stage play “El Fili” produced by Sining Pinagpala.